Raleigh Wedding At Merrimon Wynne. From the bride: How did you meet? We met on Tinder in March of 2015. Yep, Tinder! Naturally, I had been attempting unsuccessfully, with online dating for years, while Michael's first date from Tinder was with me, his future wife. How did the proposal happen? Michael proposed on November 2, 2016 on our back patio, which was perfect. Michael travels so much for work and we are always on the go, so home is one of our most favorite places! He handed me a card with a sweet note and I realized he was proposing! I looked up and he was down on one knee! I said YES and we celebrated with Miller Lite's on the patio and then dinner at Bida Manda! Tell us about your wedding inspiration. 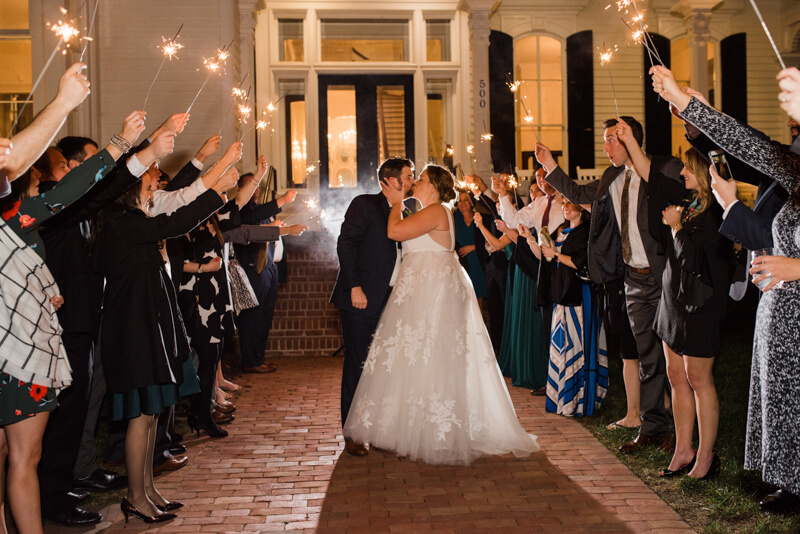 When we thought about our wedding, we wanted a big party! 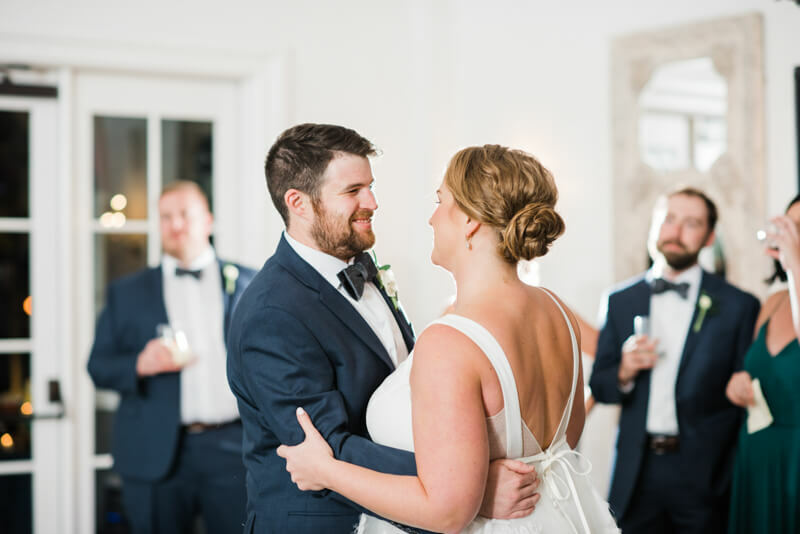 We are both from Eastern North Carolina and we do weddings a little differently than most - the focus is on the band, the food, and the bar! No seated dinners, no long speeches - let's get to the dancing folks! 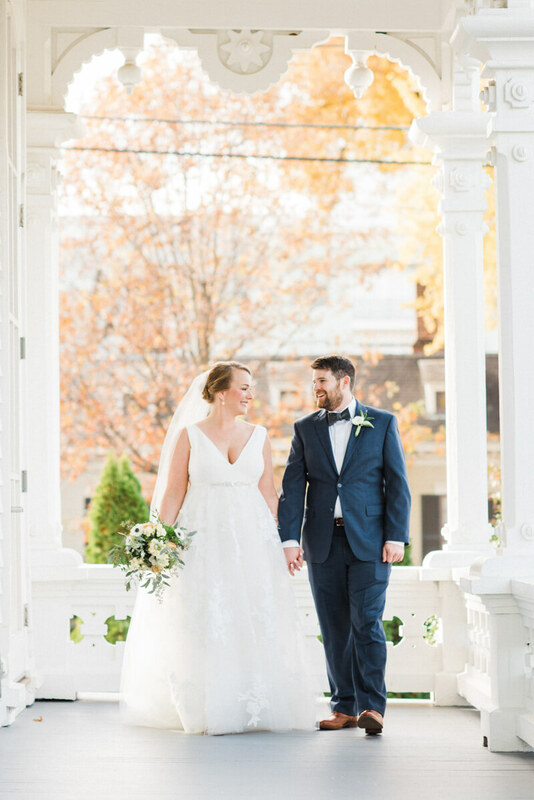 Even though we were getting married at the end of November we wanted a day filled with bright colors and we prayed for decent weather so we could have an outdoor ceremony! Simple, free flowing, and bright flowers were all the Merrimon-Wynne needed to be the picture of perfection for our big day! The place is beautiful on its own, the more simple the better.